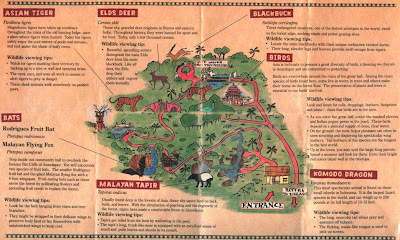 As a bonus for today’s Asia article, here is a copy of the map that is provided for guests as they make their way through the ruins and aviary of the Maharajah Jungle Trek. 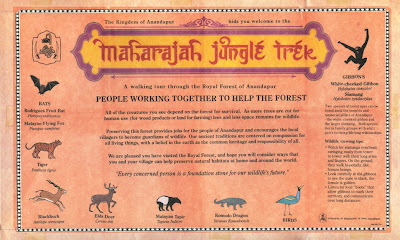 Perhaps the most important details of the entire map are the messages and viewing tips on the front. The coolest feature, however, is how the scotch take is applied to secure the front panel to the map.